Seychelles Lounge Radio live broadcasting from South Africa. 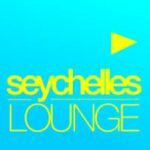 Seychelles Lounge Radio is a relaxed and stunning radio station of the nation. They believes in maximum entertainment and for that they arranges radio programs that are full of lounge music. Lounge music is a particular genre which is liked by many listeners and they are committed to bring more and more lounge music to their listeners.